A record 266 Tanoto scholars attended the Tanoto Scholars Gathering from 12 to 15 August 2015 in Pangkalan Kerinci. Held annually since 2010 by Tanoto Foundation, this year’s Tanoto Scholars Gathering saw scholars from 23 universities across 9 cities in Indonesia. 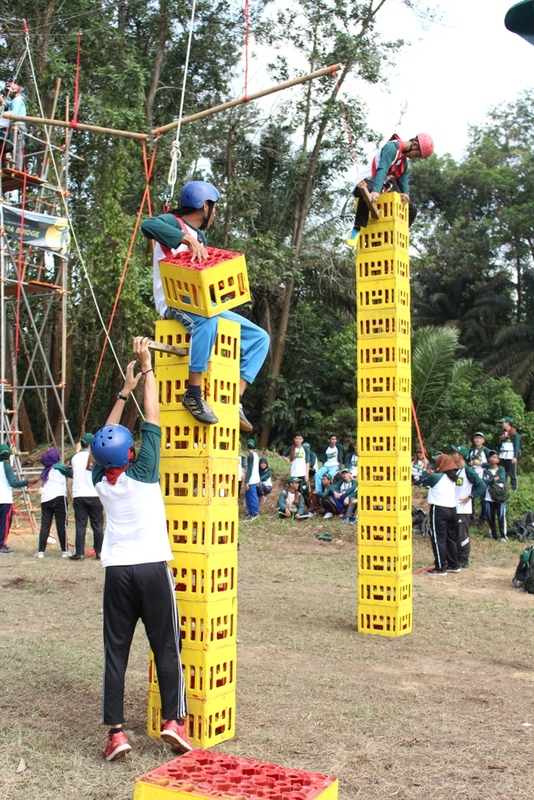 Themed “Learn and Lead”, the 4-day event helped forge a stronger community bond among all Tanoto scholars, centred on soft skills, learning, character building, development of leadership and teamwork, and advancing social sensitivities to the environment and community. 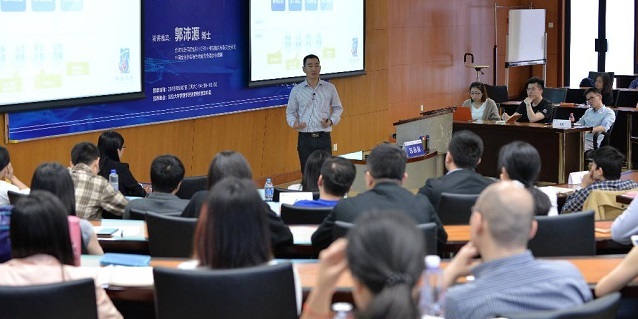 It also included public speaking and career talks. 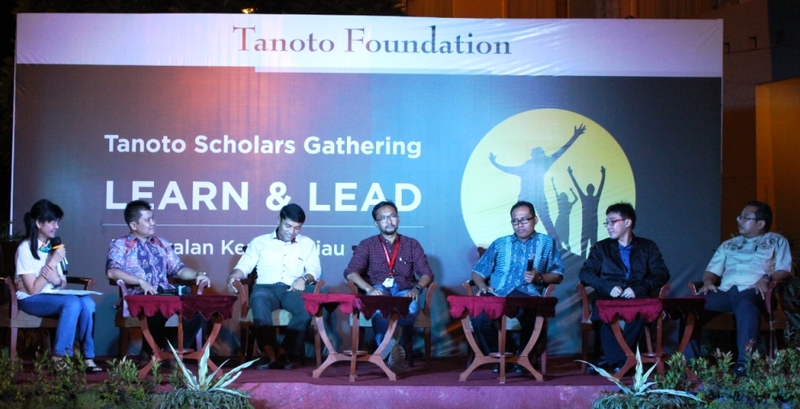 Events like these are not merely outreach programmes to strengthen ties within the Tanoto Scholar community, but also to nurture future leaders and decision-makers in Indonesia. The scholarships disbursed to the students are based on merit and academic excellence. 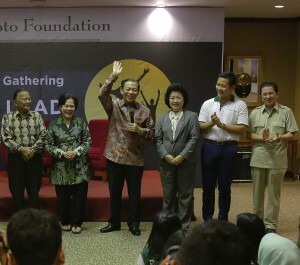 Through various initiatives and programmes, Tanoto Foundation also seeks to imbue in its scholars the necessary character and leadership qualities that will make them engaged contributors to the country. 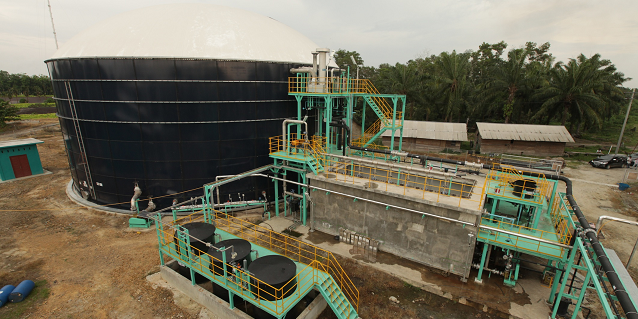 Tanoto Foundation was founded in 2001 by RGE Chairman Sukanto Tanoto and his wife Tinah Bingei Tanoto. 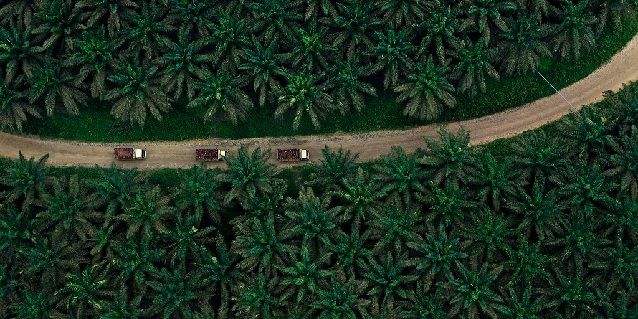 The establishing of Tanoto Foundation was the culmination of two decades of philanthropic work by Sukanto Tanoto who, having dropped out of school at 17, continually feels that education (together with empowerment and enhancement) remains one of the key drivers of poverty alleviation and social mobility. Tanoto Foundation founder Sukanto Tanoto waves in appreciation of the 266 Tanoto Scholars in attendance. Tanoto Foundation has been recognised as a staunch advocate of education and lifelong learning. In Indonesia, it has a multi-prong approach to the betterment of education standards, with a series of schemes, programmes and scholarships benefitting 4,400 teachers, 38,000 students and 5,400 scholarship recipients, also known as Tanoto scholars. With Indonesia’s 70th year of Independence only a couple days following the conclusion of the Tanoto Scholars Gathering, Mr Anderson Tanoto noted that while the country has achieved a lot as a nation, there was still room for improvement. Holistic and continuous learning would lay the foundations for the country to achieve more. Career Night: A panel of alumni from major universities, who are now employed by the RGE group of companies, share their experiences. To progress, one can learn from various sources, not just restricted to school teachings. When we make a mistake, we can use it as a learning opportunity too. Whereas to be a good leader, we must start to lead or to lead oneself, to adapt into the surrounding environment, and eventually learn how to become a leader of this nation. And it is also important to have social sensitivity to the environment and community around us and offer the necessary help when required. 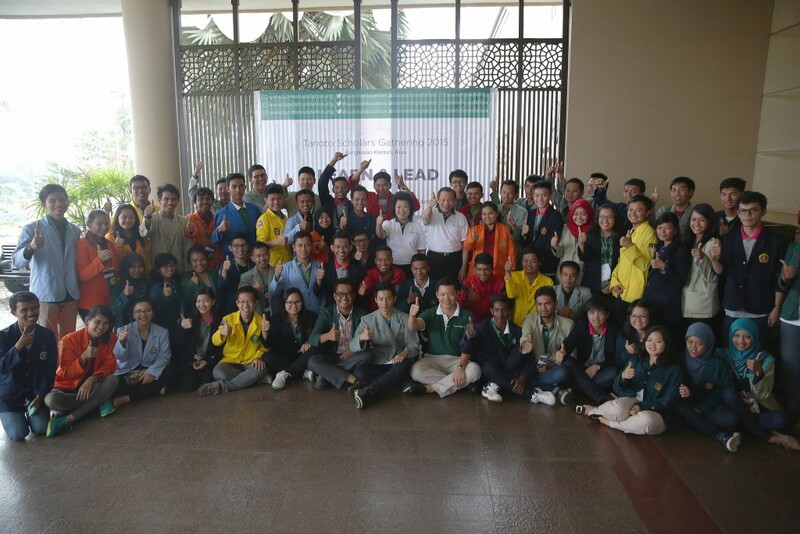 These are key attitudes that propel Tanoto Scholars to be future leaders of Indonesia.